Tens of thousands of people turn out on St. Peter's Square at the Vatican to hear the Argentine pope deliver his “Urbi et Orbi” (to the city and the world) blessing and message, marking the second Christmas since his election last year. 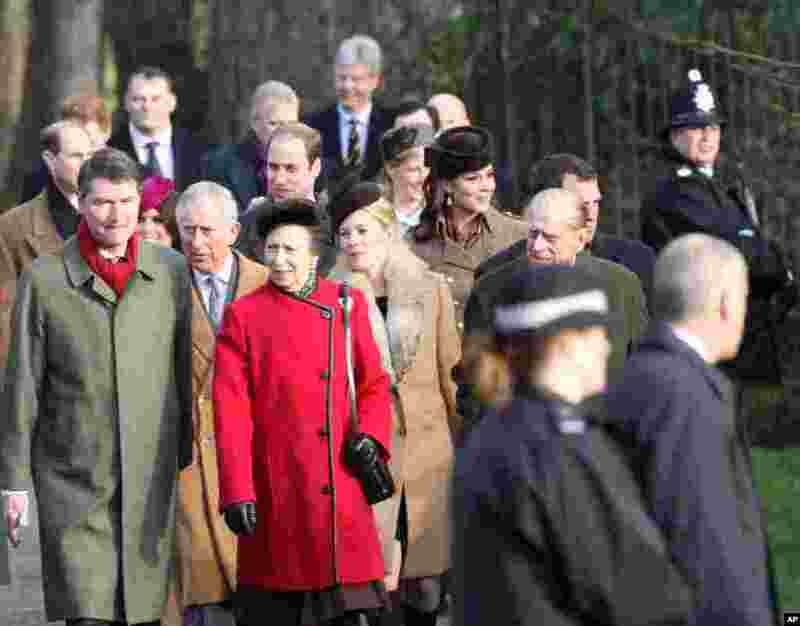 5 Members of the British royal family including Prince William The Duke of Cambridge, Kate Middleton Catherine The Duchess of Cambridge, Prince Harry, Charles Prince of Wales, The Duke of Edinburgh and Princess Anne attend the Christmas Day church service on the royal estate of Sandringham. 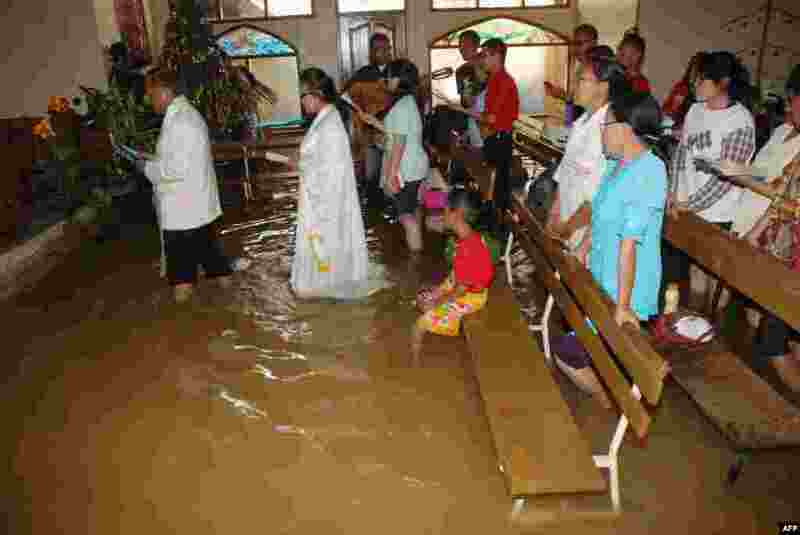 6 Christians attend the mass service at a flooded church in Bandung, in western Java island, Indonesia, Dec. 25, 2014. 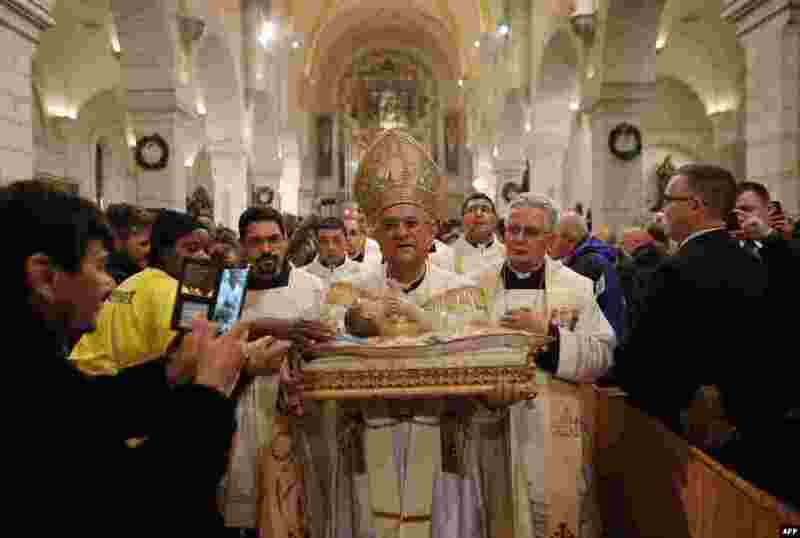 7 The Latin Patriarch of Jerusalem Fouad Twal (C) carries a statuette of baby Jesus during a Christmas midnight mass at the Church of the Nativity believed to be the birthplace of Jesus Christ, in the West Bank biblical town of Bethlehem, Dec. 25, 2014. 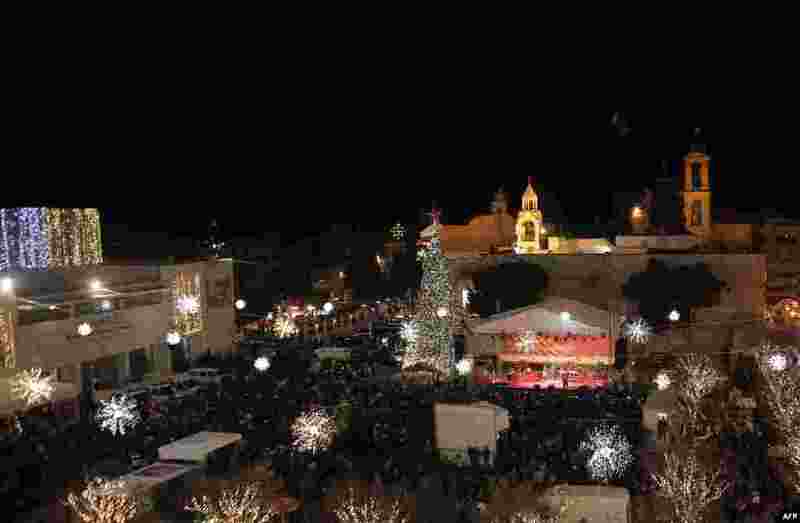 8 A view of Manger Square and the Church of the Nativity as people gather for Christmas eve celebrations in the biblical West Bank city of Bethlehem, believed to be the birthplace of Jesus Christ, Dec. 24, 2014.